My oysters have arrived. How do I store them and how long will they keep? 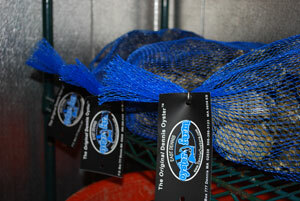 Storage temperature for oysters should remain between 33-40 degrees. If these temperature requirements are met your oysters should stay good for 2 weeks. Store live oysters flat side up to keep them in their own liquor. Also, live oysters need to breathe. Never store them in airtight bags or containers. How exactly do you shuck an oyster? First of all, it is a good idea to purchase a specialized oyster knife. It will make your job easier and you’ll have a better chance of preserving the liquid. Make sure to wear a sturdy pair of gloves to protect your hands. While the rumor is that true Cape Codders go in from the side, it’s actually easier to go in at the hinge. Once your knife has penetrated the oyster simply twist and you should hear a little pop as it opens. Cut the abductor muscle that hold the two halves of the shell together and discard the top shell. Next slide the knife around the edges to release the oyster. For the best presentation, take your knife and flip over the oyster meat. Can I eat oysters in months that don’t end in “R”? Absolutely. That myth was born in the days of inadequate refrigeration. You may enjoy oysters year round. Why do oysters from different farms taste different? Oysters are just like wine. Chardonnay comes from the Chardonnay grape which people all over the world use, but everyone knows a Chardonnay from California will taste different than a Chardonnay from France. Having said that, due to soil conditions etc., one Californian Chardonnay will not taste like another from a winery a few miles up the road. The same goes for oysters. Oyster flavors are site specific and differ from farm to farm. Who’s is the best? That’s for you decide so get shuckin’! How long does it take for an oyster to grow? They take 2-3 years to grow to harvest size. Where do oyster seeds come from? East Dennis Oyster Farm™ only get their seeds from an approved hatchery like Fishers Island in New York. Have you ever found a pearl? Yes, it does not happen often but we have found a couple.